On that sweetener in the new Quest Hero bars: allulose (formerly known as D-Psicose). 2. Nutrition-wise, Hero bars are basically Quest Lite. A bit less fibre. But I really think they’re getting much better at texture. 3. On to allulose. It’s not really like sugar – even though the FDA says it must be labeled as such – because it carries virtually no calories and actually blunts the blood glucose spike from a meal. 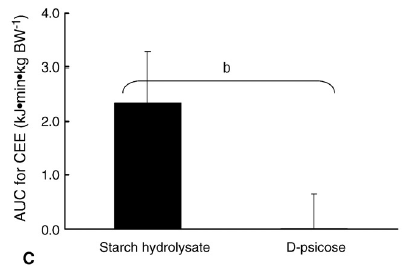 Exhibit B. n=26, zero or 5g psicose with a standardized meal (Hayashi et al., 2010). Note: there are ~12 grams of allulose in a Hero bar. It works better in diabetics. They did a 12-week study where psicose was dosed 3 times a day, 5 grams each time, and showed it was perfectly healthy. Some markers even improved. In doses ranging from 5 to 30 grams, up to 70% is excreted intact and the rest does not go to farts. compare to other low carb protein bars here, get the new Quest bars here, or just buy some straight allulose and experiment with it! Mechanisms? 1) it’s not sugar, but it still enhances glucose disposal; and 2) some animal studies show it enhances liver glucose uptake. Idk. Discounts: still looking for a pair of hot blue blockers? Carbonshade and Spectra479 are offering 15% off with the coupon code LAGAKOS. And for some delish broths/stocks, Kettle & Fire is 20% off HERE. 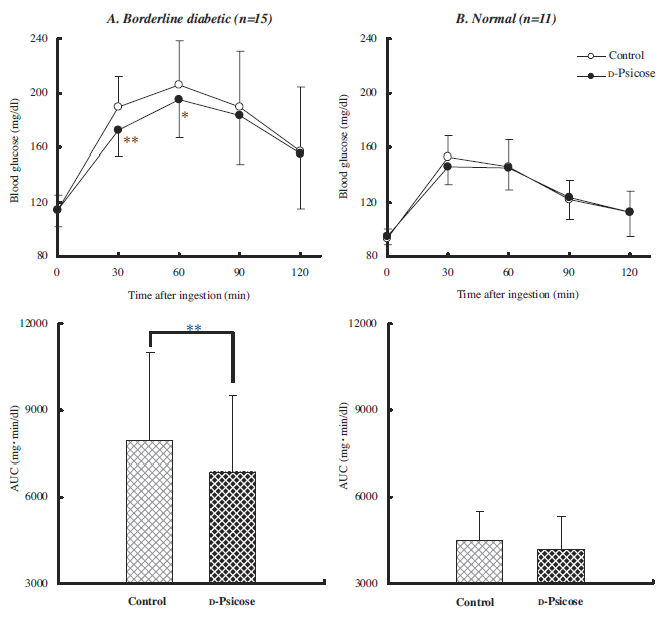 Preliminary results from Chris Gardner’s follow-up to this study suggest insulin resistance may not be as big an influence on the success of LC/LF diets as prior studies have shown. Maybe I was wrong. We aren’t given many details in the abstract or interviews, and there are still some good studies showing otherwise (eg, those by Cornier, Pittas, Ebbeling, and Gardner himself), although this one is bigger (n = 609) and longer (1 year). However, the range of weight change was huge, something like +20 lbs to -80 lbs, so the devil might be in the details… time will tell. Might be subtle yet important changes in body comp or other metabolic indicators. If it turns out to be true, my best guess: they were all following Hunger-Free Diet(s)… which work regardless of whether low fat or low carb. It started out as “lose weight without hunger on LCHF” and went all the way to “effortless fasting on keto.” Works for some and it might be true, but the same can be said for low fat diets! The key, I think, in both contexts, is simple: fewer processed & refined foods… something the Paleo movement got right, imo (although I still think many low-calorie sweeteners are way less unhealthy than HFCS & sugar). Ketones, carbs, and physical performance. Or more specifically, ketone monoesters and carbs. Literally, this study was a high-dose ketone monoester supp sans caloric or carb restriction. I know, weird right? 1) ketone esters =/= ketone salts. Ketone salts are either sodium or potassium-dominant. Ketone esters are essentially salt-free. Possibly helpful background reading here. 2) nutritional ketosis =/= starvation ketosis =/= ketone supp ketosis. Because #context. Starvation ketosis, but not nutritional ketosis, is muscle-sparing. Ketone supps sans carb restriction might be. 3) the theory of ketone supps for sport is: 1) ketones are an energetically favorable fuel; and 2) they’ll spare glycogen, theoretically allowing prolonged duration of moderate-to-high intensity performance. Adding in carbs will likely further this. 4) I have no studies to support this, but the idea of ketone supps in the #context of high carb doesn’t sit will with me. 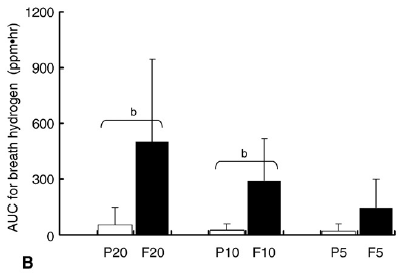 Seems like high levels of both substrates = mitochondrial overload and oxidative stress. Maybe. But it’s a gradient with a lot of overlap, and ketoadaptation further blurs the lines. …but it isn’t dead, imo, because that would be really hard to do. Like, seriously. side note: please consider the modern views of Taubes, Lustig, Gardner, Attia, and others on Carbs™. They’re less “Carbs-cause-obesity, keto-for-all, etc.,” and more thinking it might not be Carbs™ per se, but rather processed and refined foods. And #context… And I tend to agree at the moment (nuances and caveats are subject to change, as more evidence accumulates). disclaimer: I haven’t seen the full text of Hall’s recent study, but that’s not really relevant to what I want to discuss. In other words, I don’t think the full text will provide any additional details on this particular point. Tl;dr: this study was not designed to prove or disprove metabolic advantage or the insulin-obesity hypothesis. 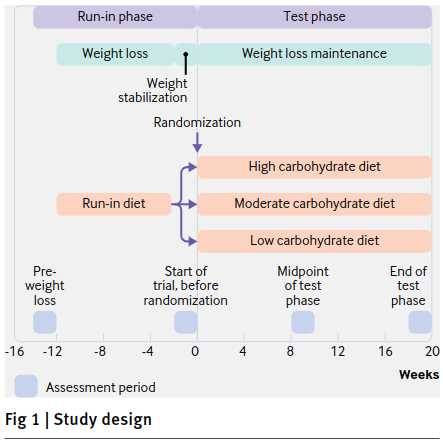 It’s in the study design: four weeks of low fat followed by four weeks of low carb. 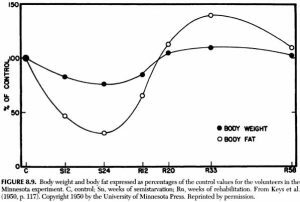 We KNOW that weight loss slows over time (especially if calories are controlled, as they were in this study). It has to do with the order of treatments. 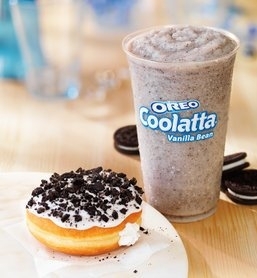 The history of low fat diets is riddled with crappy low fat food-like products. Take a group of obese people and assess insulin sensitivity however you like: some researchers demand nothing less than a hyperinsulinemic-euglycemic clamp (Gold Standard), others are OK with insulin levels during an oral glucose tolerance test. Next, divide the people up based on this — there are a few ways you can do it. You can: take the top half vs. the bottom half (a method which includes everyone); take the top third vs. bottom third (excluding the middle third); take the top quarter vs. bottom quarter (excluding the middle 50%), etc. THIS MATTERS because in referencing this topic, many people claim most obese are insulin resistant. They may be more insulin resistant than lean people, but even within obese people, there’s a spectrum, and the spectrum matters in this #context. When some protein-rich foods were discovered to induce insulin secretion, people thought this information might help type 1 diabetics more accurately calculate their insulin dose. 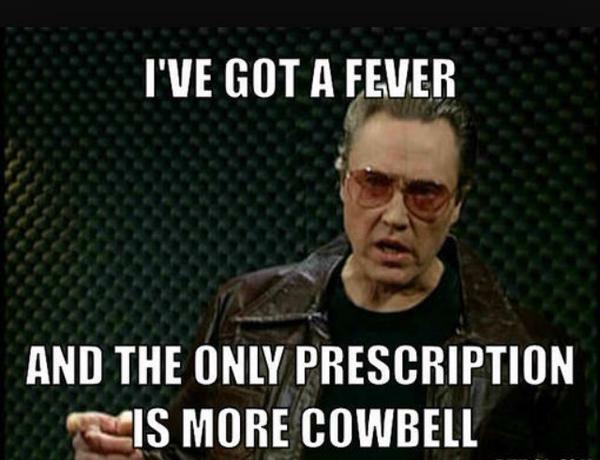 Interesting rationale, worth testing. Tl;dr: it didn’t work very well. 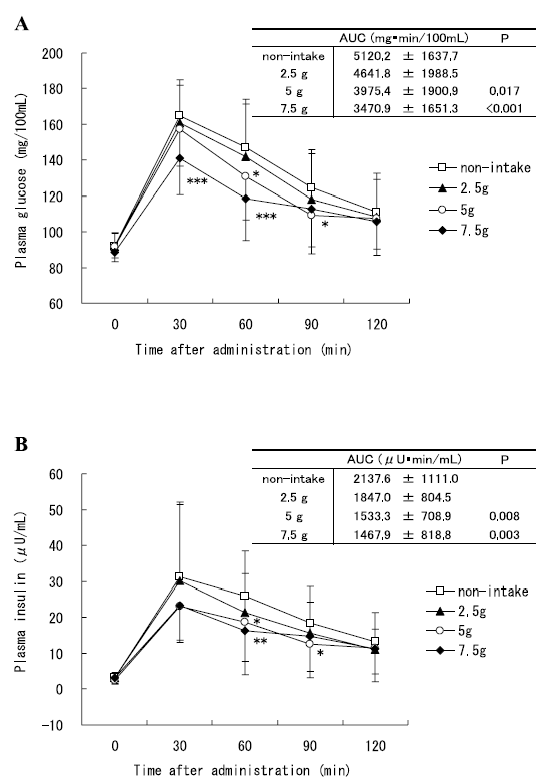 More of the protein-derived amino acids may have been incorporated into lean tissue, but the extra insulin load ended up causing hypoglycemia more often than not. Hypoglycemia is acutely more harmful than hyperglycemia, and is still quite harmful in the long-term. Some studies on incorporating the insulin index for type 1 diabetics are mixed, ie, increased or no change in risk of hypoglycemia, but no studies show it reduces the risk. ^^^good policy in general, but especially for debating in the realm of nutritional sciences. Three topics that could not be avoided in such a discussion: saturated fat, cholesterol, and carbohydrates.